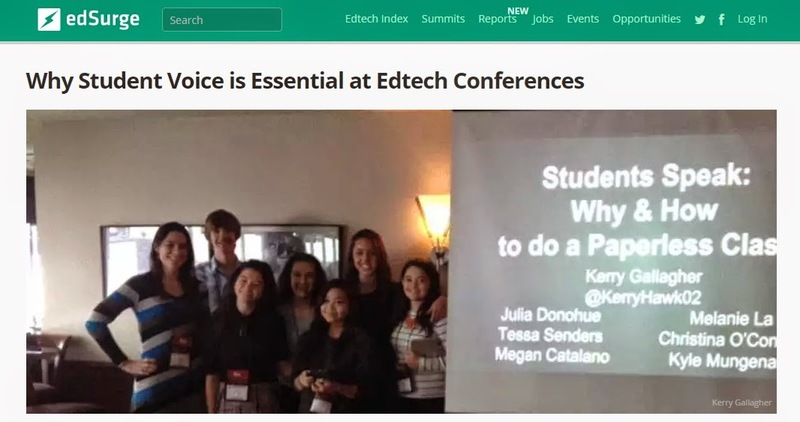 Four of my current and former students helped me write an article about the importance of student voice at EdTech conferences. In their portions they went even further and called for student input into lesson plans, app designs, and professional decision-making. Click the image below to read their words. Thanks for sharing! Click this images to read the article.